The Way You Used To Do rockers performed an unannounced set at the festival on the same day their Villains LP is released. Queens Of The Stone Age made a surprise appearance at Leeds Festival 2017 today (25 August). 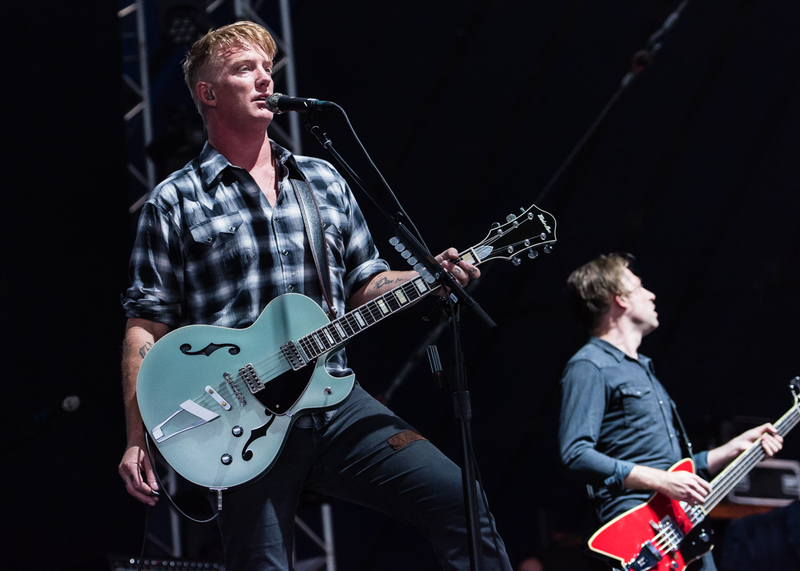 Celebrating the release of their Villains LP on the same day (25 August), Josh Homme and co. played a set on the NME/ BBC Radio 1 Stage at 12.45pm. Tweeting the news within less than an hour of them going on stage, the band wrote: "HERE. WE. COME 'villainsworldtour"
Rumours had been circling for a while that Josh Homme and his bandmates were expected to play the rock extravaganza, with Josh Homme hinting as much to Radio X's Gordon Smart a few weeks back. Meanwhile, Homme talked about the new sound on the record, telling Radio X's Gordon Smart: “It dawned on me that if you’re lucky enough to have a sound that’s your own, if you’re not careful, by the seventh record you could become parody, like a cartoon character on the wall, you know?" When asked about the most famous person he'd ever bumped into at the urinal, the No One Knows rocker joked: "Well, I've peed on Dave and he's peed on me. I feel like that's well known". The rocker added jokingly: "Frankly I quite like peeing next to Dave. It's one of the things I like the most, because it's got that back beat." The rockers also revealed their video for The Way You Used To Do, which features Homme dancing up a storm. Speaking of the clip, Homme told DIY: “It’s our way of paying tribute to Cab Calloway and the film Hellzapoppin’. I fully realize that may be a little more than some are open to, and that’s perfectly fine with me. "There’s the door. If some of the more close-minded are gently pruned, that just leaves more room on the dance floor for the open-minded ones to get loose. That’s been the spirit of Queens Of The Stone Age and the space we’ve worked to create from day one”. Queens Of The Stone Age will also celebrate the release of their seventh studio album with a string of dates this side of the pond.